at The kelpies which can be found at The Helix in Falkirk, Scotland. The clouds are really cool! An amazing structure, Peter. Remarkable photograph. 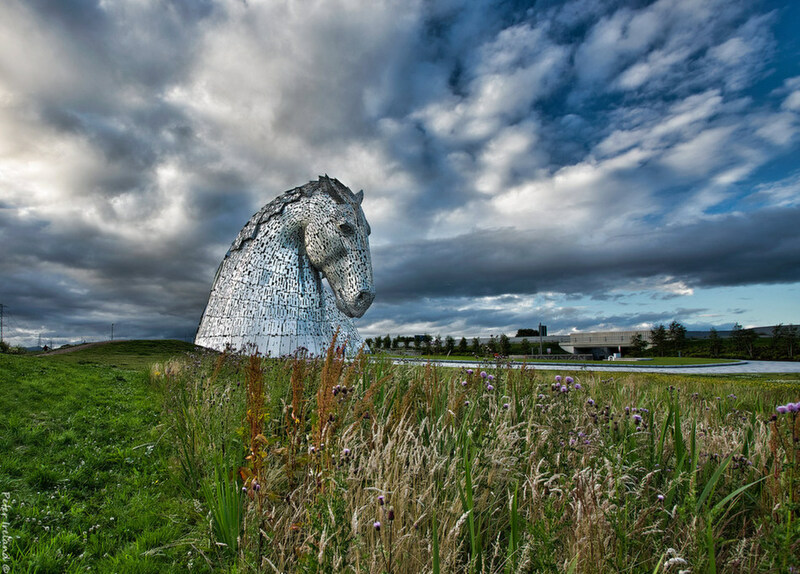 Another great view of The Kelpies, Peter. At over 98 feet tall, I think seeing the two of them together looks amazing, but you have done a great job with this single one with a good composition and dramatic sky. Well done! Quite the sky for this enormous horse-makes me want to see it myself. Very dramatic!